The 2015 Nissan Juke is a distinctive compact crossover, which stands out in terms of looks and its presence on the road. 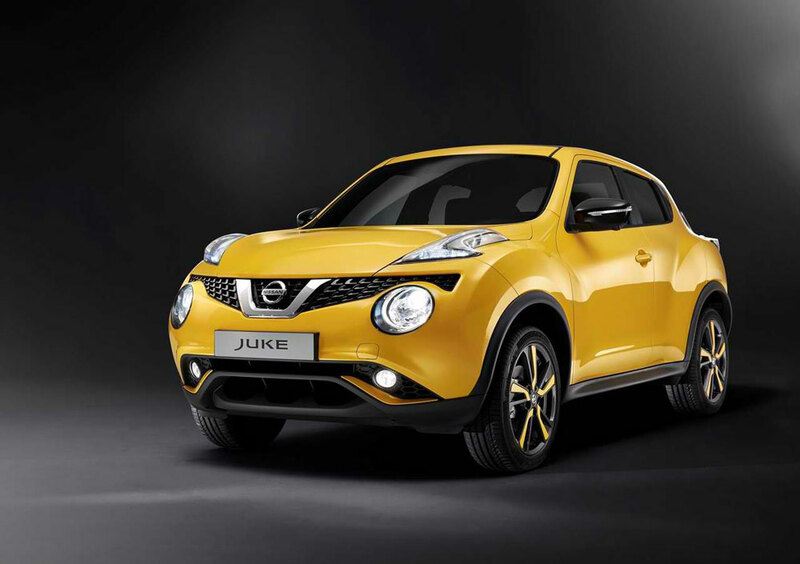 The bizarre look of the Juke is sure to turn heads on the street. The unorthodox styling of the Juke appeals to a younger target audience for whom looks and distinctive style statement is more important than any other feature of the car. 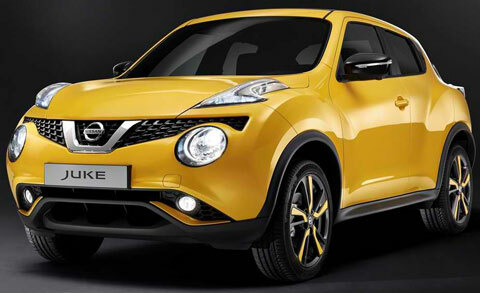 Juke comes with a 1.6 liter engine, a 1.5 liter diesel engine and a new 1.2 liter turbocharged engine as your options. The 1.6 liter gasoline engine comes with a turbocharged option as well, and generates an impressive 188 horsepower. 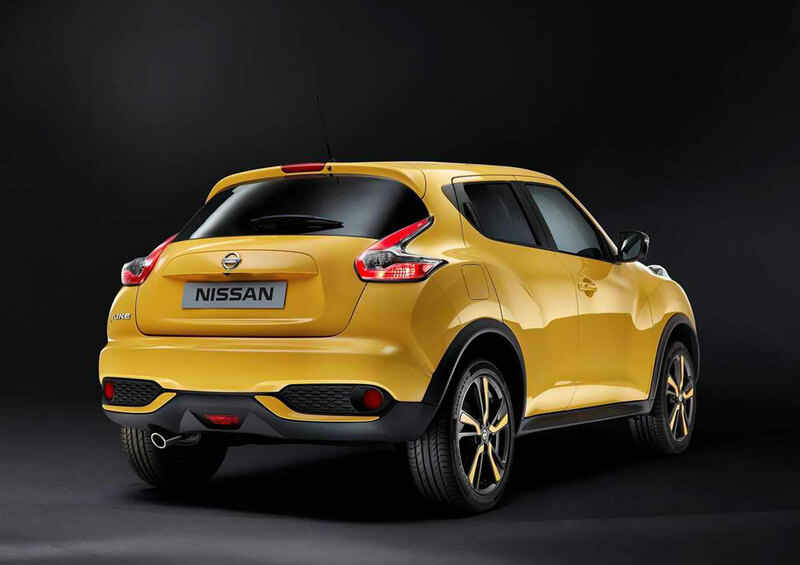 Juke is available in front wheel drive and All-wheel drive options. Juke also has option of manual or CVT gearboxes. The Juke 1.6 liter comes in with a mileage of 27 city/32 highway mpg for the front wheel drive CVT model. In the manual model the mileage drops to 24 city/32 highway. The 1.2 liter engine generates 117 horsepower of power, along with a respectable efficiency and lower emissions. The exterior of the Juke is its best feature. Juke looks like a raised hatchback, and at the same time it resembles a compact SUV. The styling is unique and bold, sporty and dynamic. There have been minor changes in the design of the 2015 Juke. The front headlamps have been redesigned and come with high intensity LED daytime lamps. The headlamps now come with Xenon lamps. The rear bumper has an aggressive look, which goes with the boomerang shaped tail lamps. 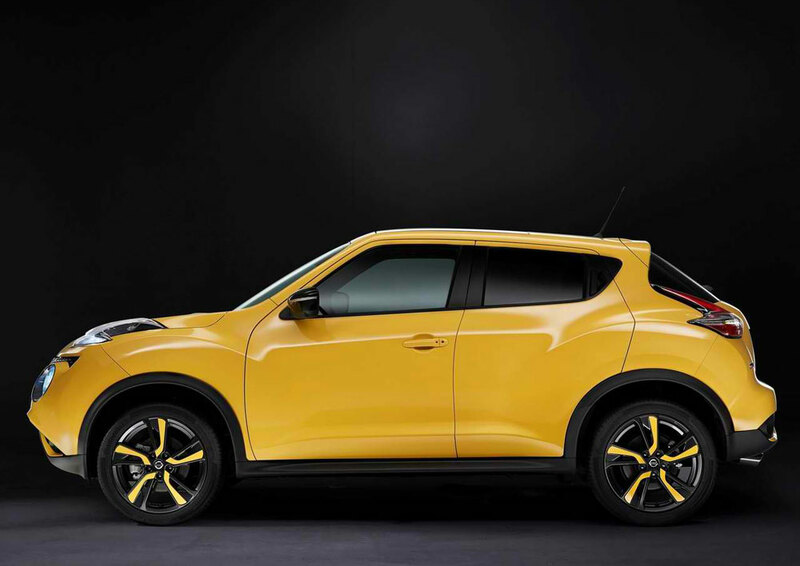 The new Juke now comes in ten colors, including three new shades â€“ Solid Red, Sunlight Yellow Metallic and Ink Blue Metallic. The previous Juke was slightly disappointing, especially in when it came to cabin space and boot space. The quality of the material was nothing to write home about. However, the 2015 Juke comes with major improvements on these fronts. The boot space has increased by 40% in the new Juke. 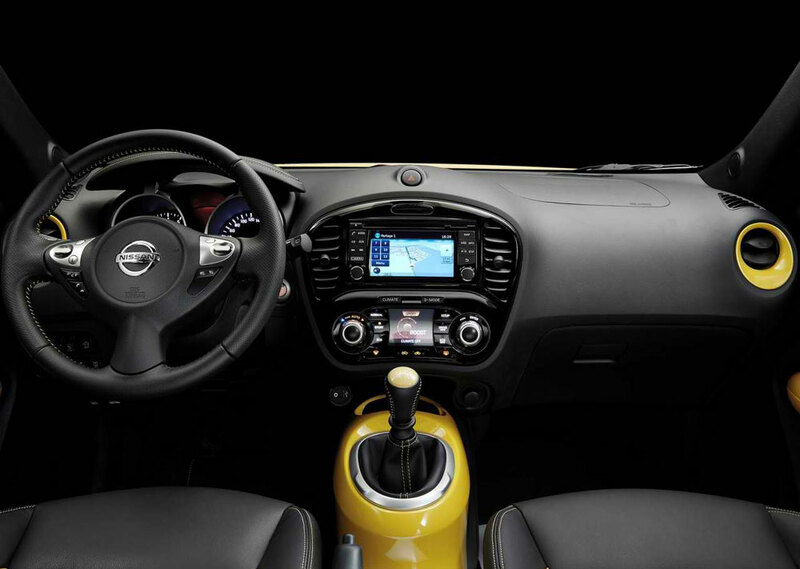 The interior styling and quality of materials used in the 2015 edition is much better, making the cabin of Juke a much more pleasant place to be in. However, rear seat space is pretty cramped as compared to other cars in the same segment, largely contributed by the low roofline. The 2015 Nissan Juke comes with significant changes that address the concerns of the earlier version. It makes for a perfect car for those who want to stand out in a crowd. It is peppy and fun to drive. 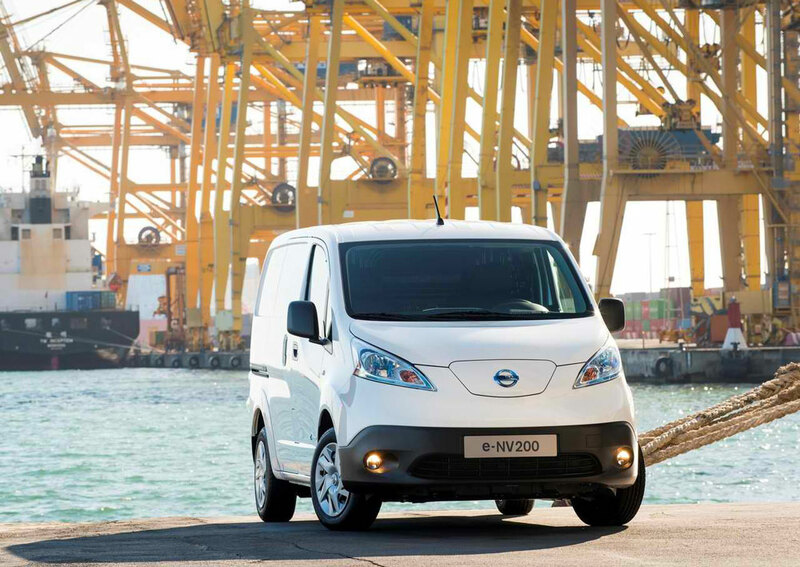 Nissan continues to pioneer the electric market with the introduction of the 2015 Nissan e-NV200. This new car brings unprecedented refinement with zero emissions and very low running costs to the compact van segment. This will be the very first automaker to have 2 all-electric vehicles in the world; joining the Leaf, the worldâ€™s best-selling EV. 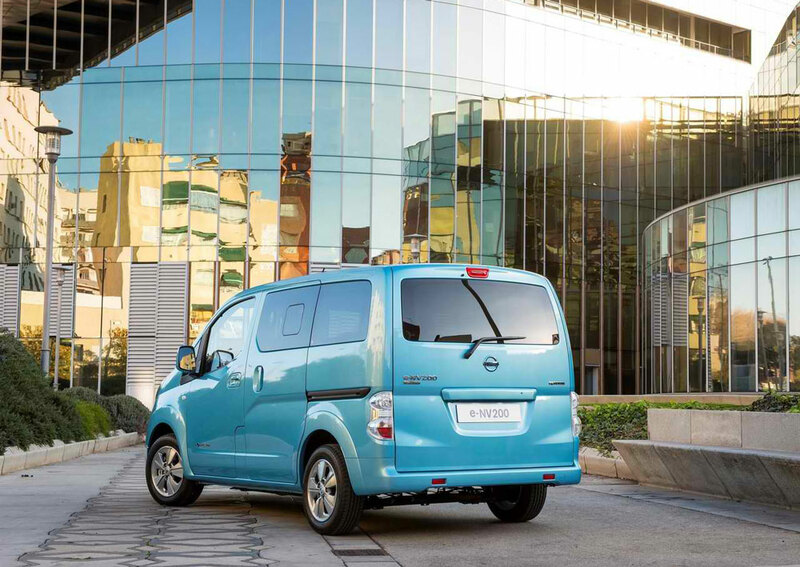 The car combines the advanced power-train of the 100 % electric Nissan Leaf and the roominess and practicality of NV200 Compact cargo van. Zero emission power comes from one lithium-ion battery. This has 48 compact modules together with advanced 80kW AC synchronous electric motor. This produces a 207 lb-ft. of torque. Acceleration is smooth and responsive. 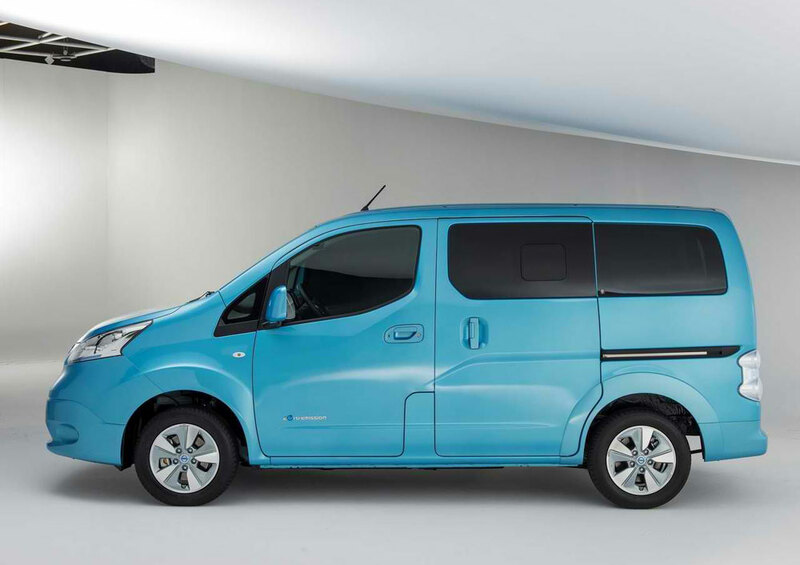 Modeled after the highly acclaimed and award winning NV200 compact cargo, this new car adds a bold design & full electric capability. The identity of the car starts with its wide hood; here, you will find one charging port door just behind the famous Nissan badge. This van also features sweeping headlights with LED accents, dual glass- panel roof that lets in lots of light and vigorous side character lines. There are tall rear doors together with sliding doors both sides that make it very easy to load and remove items into this car. 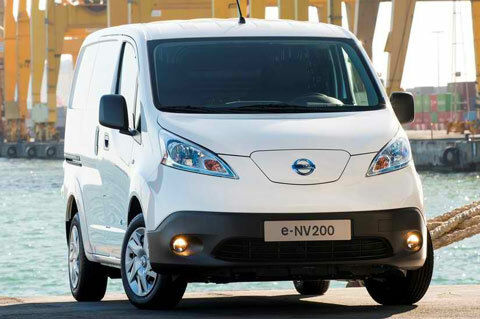 The E-NV200 can easily fit into tight spots, a low garage and is the ideal size of getting around in comfort and style. Since the car is 100 % electric, no tailpipe. The van offers a well-equipped interior. 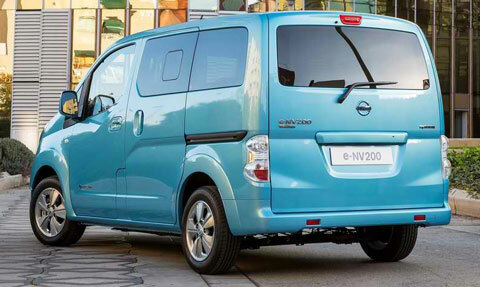 The e-NV200â€™s bright and modern cabin offers great comfort. 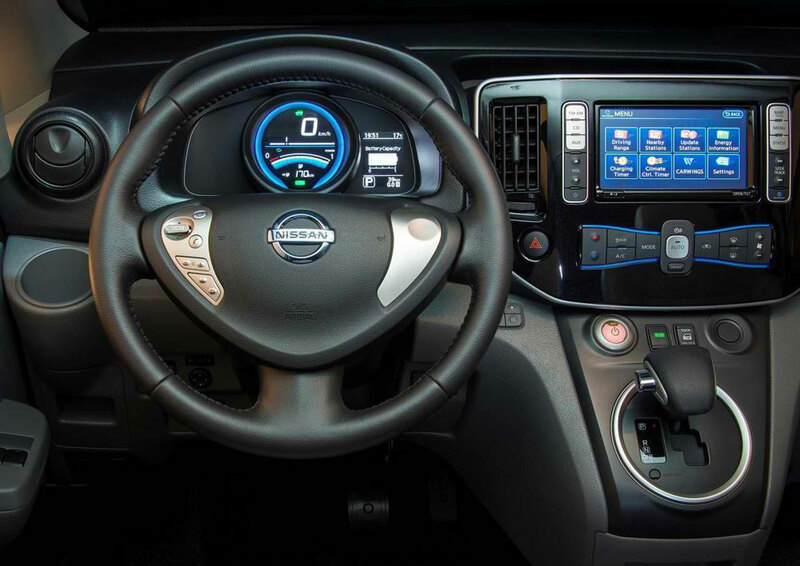 Traditional gauges have all been replaced with some blue, futuristic EV-meters. The driver sits quite high getting an excellent outside visibility. There is also a huge touch screen monitor that looks and actually acts like tablet computer. The screen displays a lot of information such as battery charge level, range and power usage. 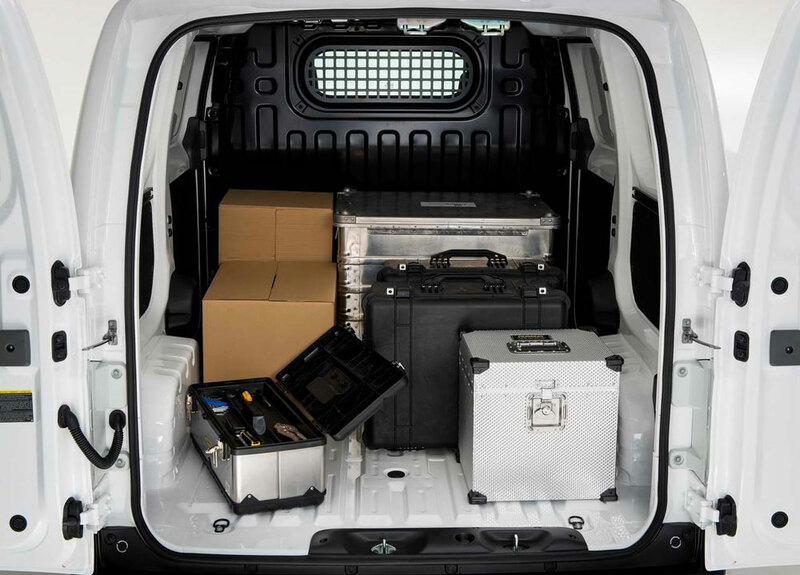 There is an available 122 cubic feet cargo space. There is room for 5; 2 rows of seats provide families and businesses with highly versatile space. 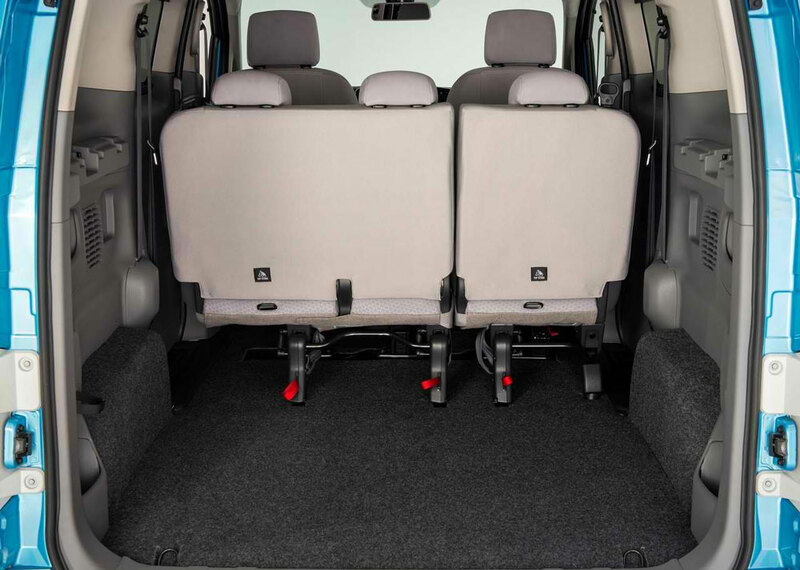 The rear seats can fold down to create more cargo space. 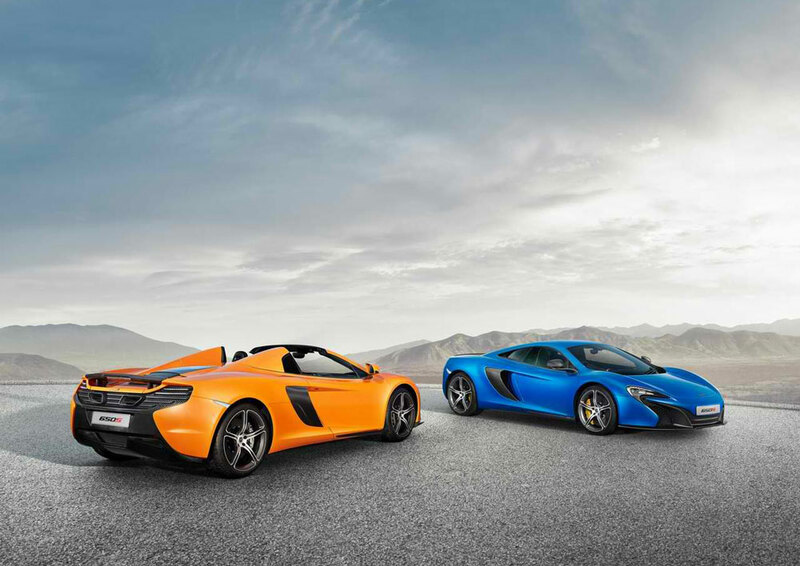 Early last year, McLaren brought us the 650S Coupe, recently unveiled was the 2015 McLaren 650S Spider. This high performance sports car offers a comfortable and fun driving experience. 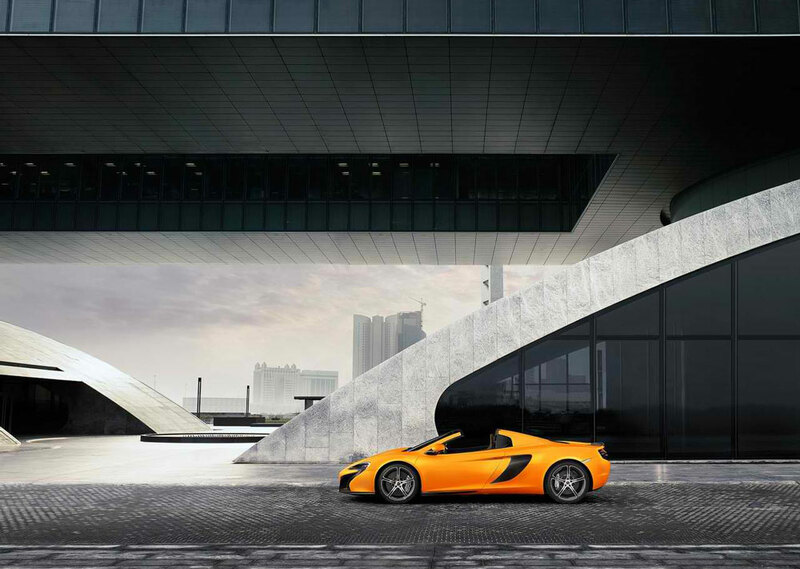 McLaren has been associated with great technology, this rendition of the 650S is no different when it comes to craftsmanship. 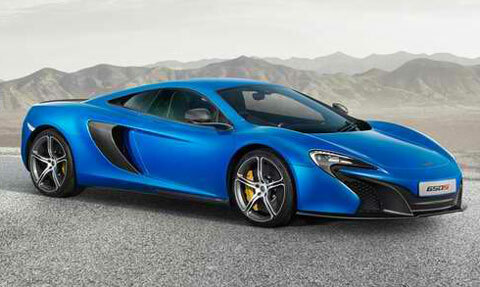 The new 650S Spider is powered by the McLaren M838T twin turbo V8 engine. The engine produces 641 horsepower with a torque of 678 lb ft. This means the car can sprint from 0 to 62 mph in just 3.0 seconds and 124 mph is reached in 8.6 seconds. The maximum speed is 204 mph. fuel emissions and consumption rate is similar to that of 650S Coup; 24.2 mpg on the EU combined cycle and 275g/km. The overall weight of this car is 3020 lbs (1,370 kg) dry; this is an increase of 40 kg over the 650S Coupe. 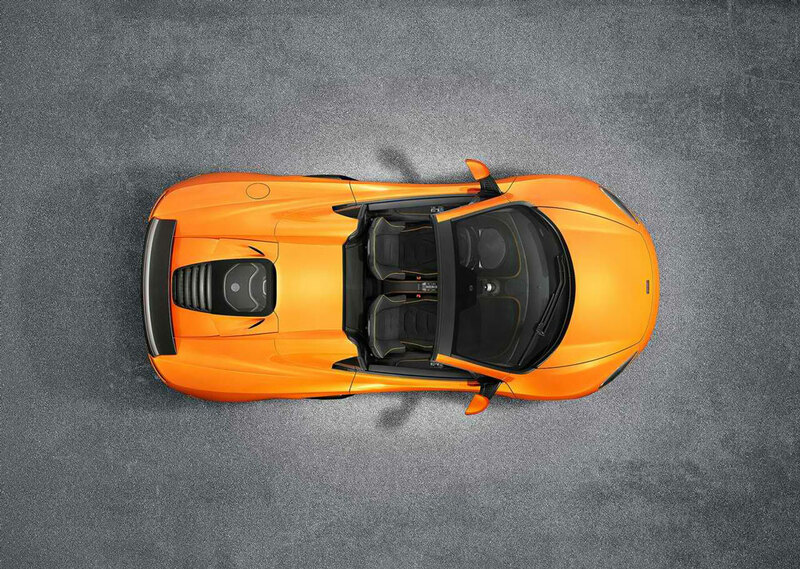 The additional mass comes from the Retractable Hard Top and roof mechanism. The 2-piece Retractable Hard top can be automatically raised or lowered in less than 17 seconds. 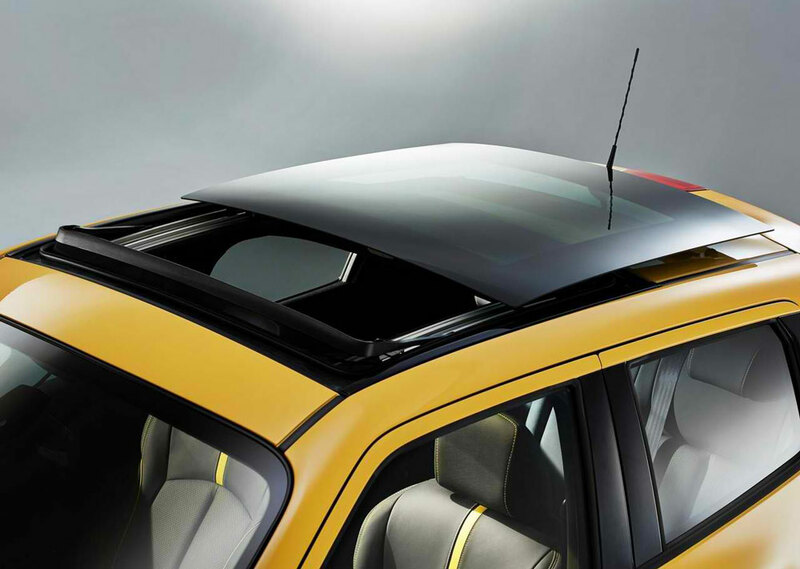 The roof can be activated while the car is stationary or at a speed of up to 19 mph. 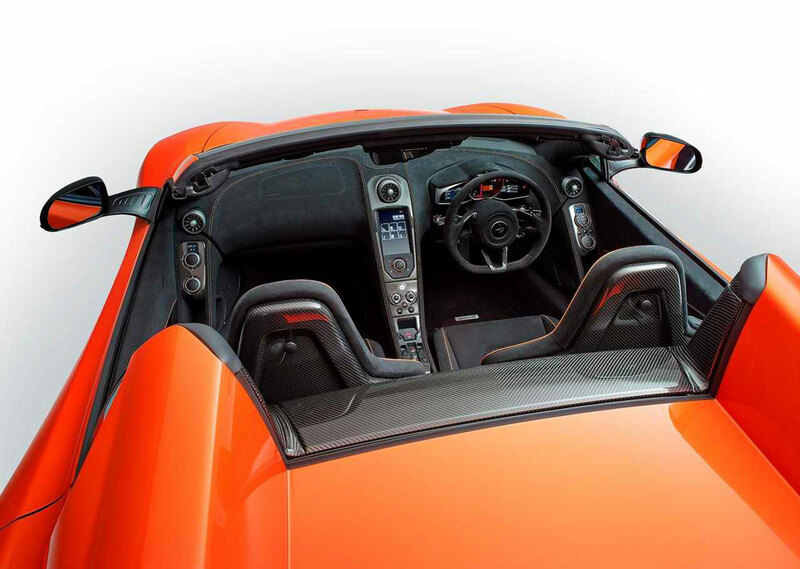 The Spider has heated glass rear window that operates independently of the roof. The rear window acts as a wind deflector. When the roof is up, the rear screen can be lowered to allow more engine noise and the area beneath the tonneau cover can be used as additional luggage space. It rides on unique '650' lightweight alloy wheels with Pirelli P Zero Corsa tires. 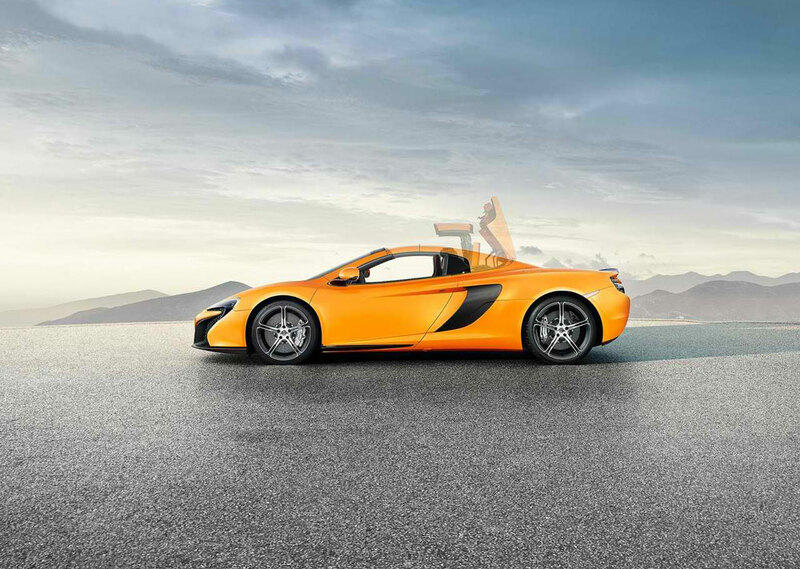 This 650S Spider has been fitted with high level luxury equipment. You will find IRIS satellite navigation with Bluetooth telephony, wireless tethering, voice control, audio streaming and the cabin is fully trimmed in Alcantara. The cabin is trimmed in faux suede with contrast stitching, polished carbon-fiber has been added to the steering wheel and the narrow centre console. Full leather and a backup camera are available. 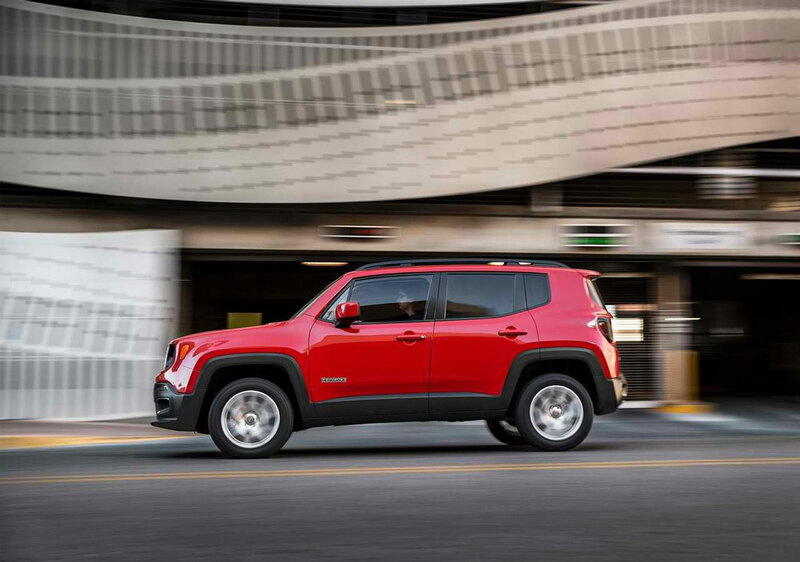 The all-new new 2015 Jeep Renegade intends to broaden the brandâ€™s global lineup. 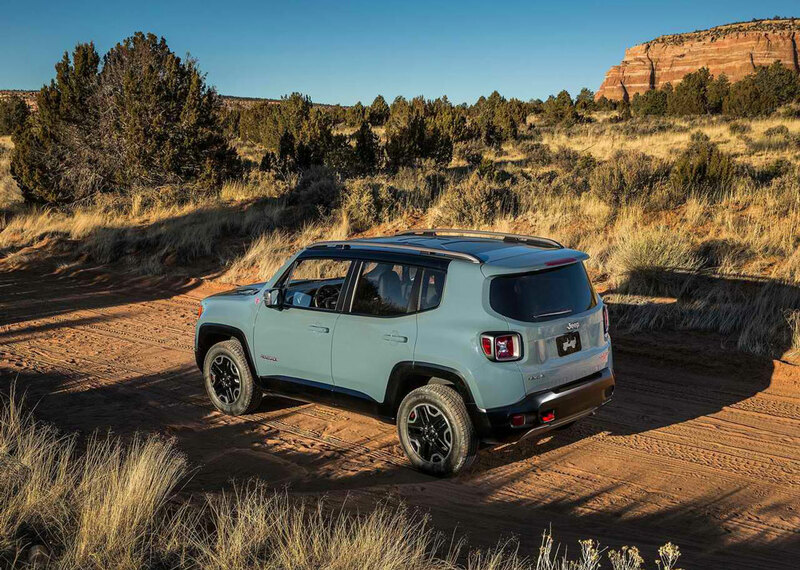 The Renegade has entered the ever-growing small SUV segment, while still staying true to the adventurous lifestyle Jeep has been associated with. 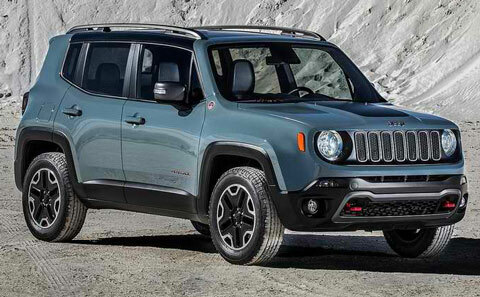 This SUV delivers a unique combination of best-in-class off-road capability, convenience and open-air freedom. You will be given a choice of two 4-cylinder engines; a turbocharged 1.4 liter engine that produces 160 horsepower; or a larger 2.4 liter engine that produces 184 horsepower. 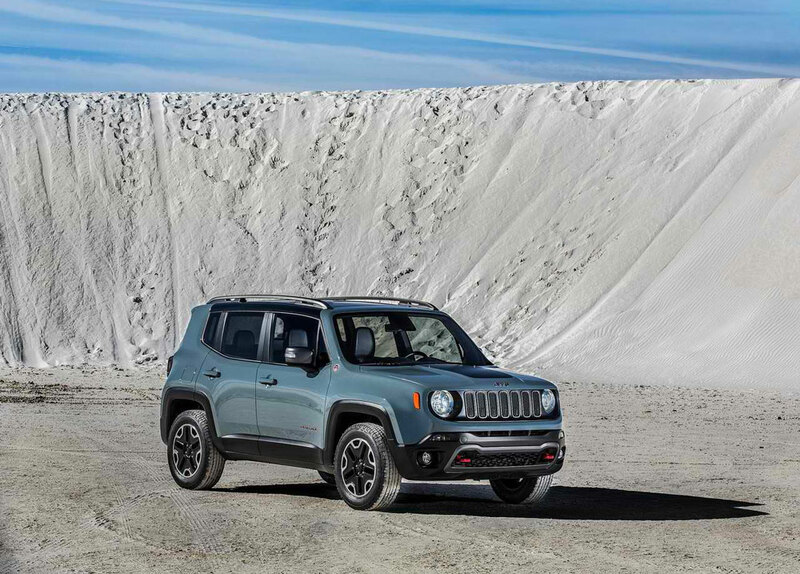 The smaller engine option comes with a 6-speed manual transmission while the 2.4 liter option is paired with a 9-speed automatic. There is an available My Sky Open-air dual-panel roof that features secure panels that can be completely removed and then stored flat in the height adjustable rear cargo space. The car features an 8-inch factory lift, skid plates, distinctive front & rear fascias, 17- inch aluminum wheels and aggressive tires. The distinctive tail lamps add style to the car. The dimensions are reportedly: 166.6" long, 71" wide, and 66.5 inches tall. This is 7 inches shorter than the previous model but slightly wider and taller. 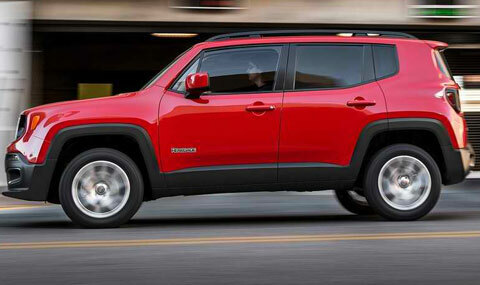 The new Renegade features an interior with a rugged and energetic appearance that builds upon Jeeps legendary heritage. The innovative, high quality color and material appointments and the state of the art technology draw inspiration from contemporary and extreme sports gear and lifestyle. 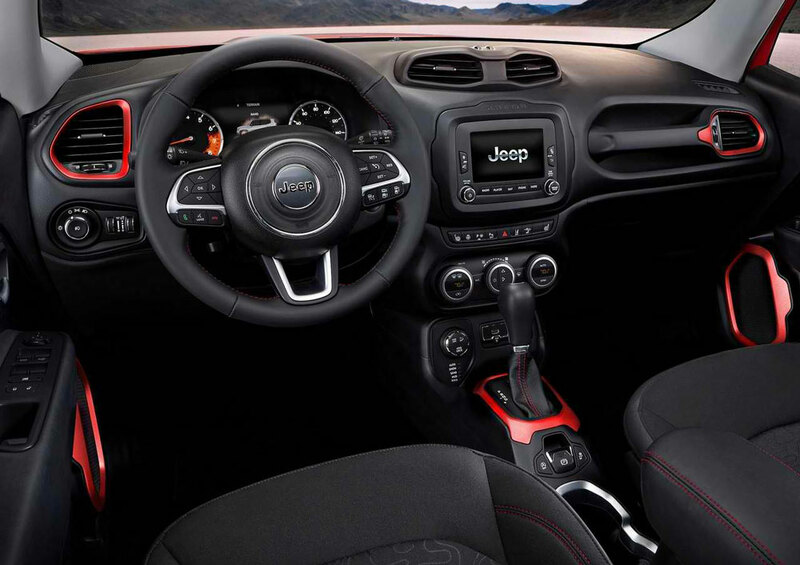 Other features include a Smartphone integrated infotainment system with 5 inch and 6.5 inch touch screens, driver aids and 7-inch configurable gauge display. 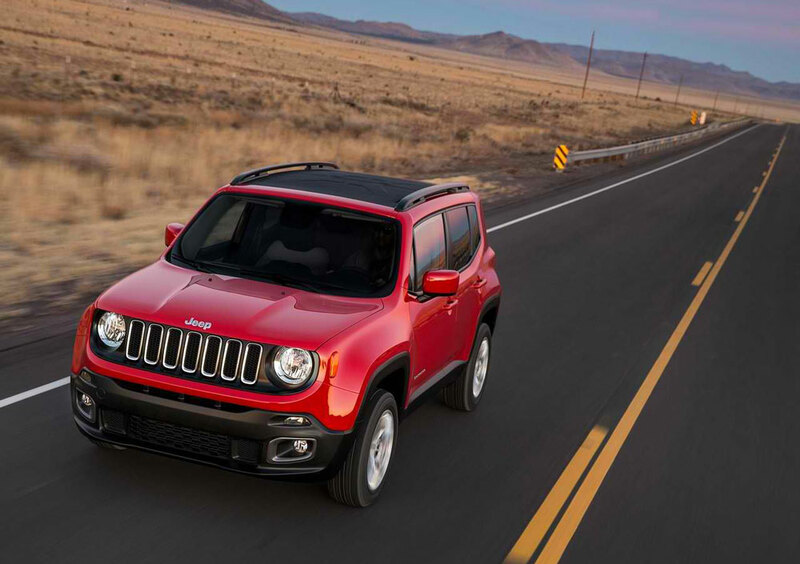 The driver assistance features include; rear cross-traffic alert, rearview camera, blind-spot monitoring, forward collision warning, and lane departure warning system. Another important feature is the Uconnect Access system with 911 emergency services; this also reads text messages and sends dictated messages. If you need information about local fuel prices, traffic updates and weather conditions, then, a SiriusXM Travel Link is available to help. 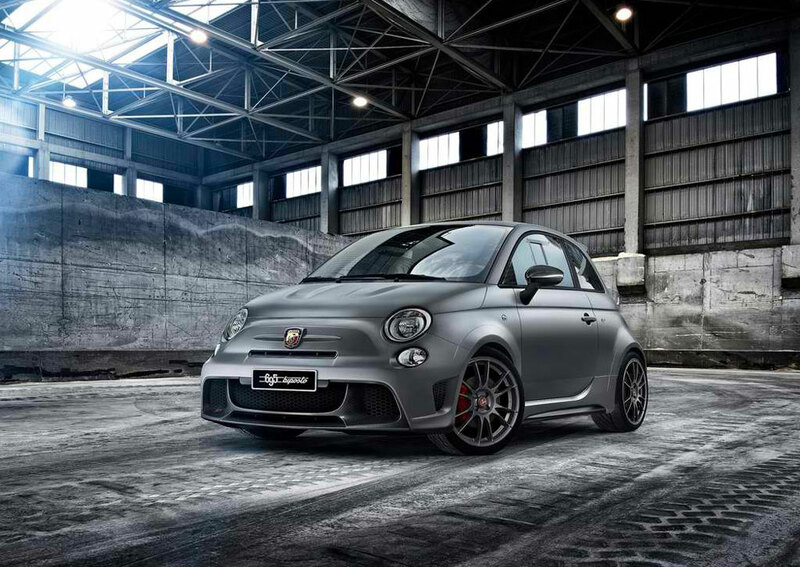 The 2015 Fiat 695 Abarth Biposto made its debut at the 2014 Geneva International Motor Show and it is the fastest and high-performance street legal production Abarth ever built to date (the first Fiat 695 Abarth was launched 50 years ago). 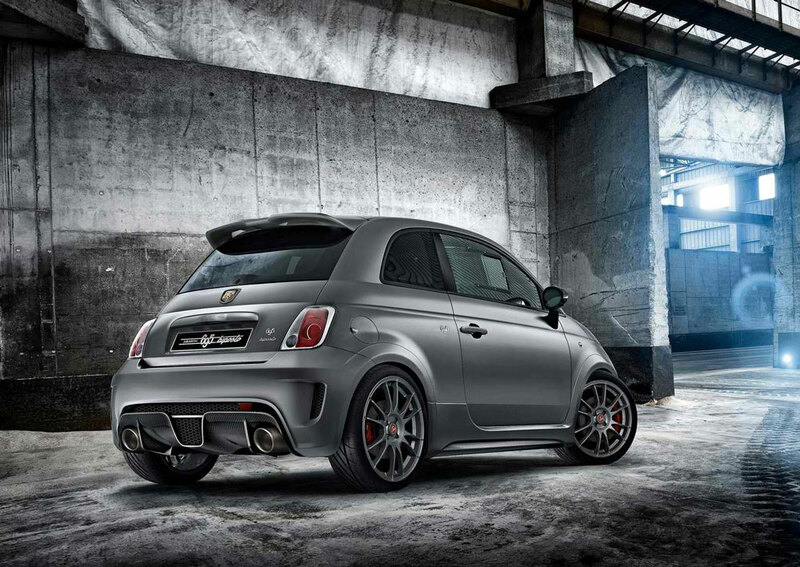 This new Italian mini supercar continues to stay true to the original slogan of Carlo Abarth, "from the track to the office." 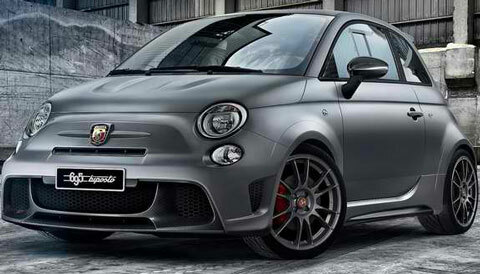 The engine of the new Fiat 695 Abarth Biposto is a 1.4 T-Jet engine that has been brought, for the first time ever on a road-going minicar. It is capable of providing you 190 horsepower. This car boasts the best weight-to-power ratio, 5.2 kg/HP, as well as the best acceleration in its "street legal" car category. This Fiat supercar can accelerate from 0 to 62 mph in only 5.9 seconds and reach a top speed of 143 mph. 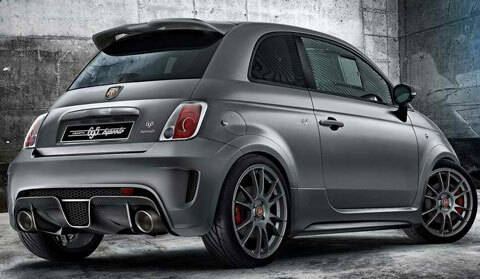 The design of the 2015 695 Abarth Biposto is characterized by athletic and racing-inspired elements, which include the wheel arches, front and rear bumpers, spoiler and side skirts; these have been enhanced by cool carbon inserts designed by Zender. The rear titanium roll bar is developed by Poggipolini. The color of the bodywork is Performance Grey, which is augmented to racing car perfection by titanium finishes for the door handles, tailgate, rear handle and front bonnet trim. The bonnet, featuring two bumps is comprised of aluminum, while the post covers and mirror are made of carbon. The interior complements the muscular, racing-oriented allure of the exterior and features a dashboard fascia carbon inserts, flat rear and front panels, handbrake and central tunnel cover. 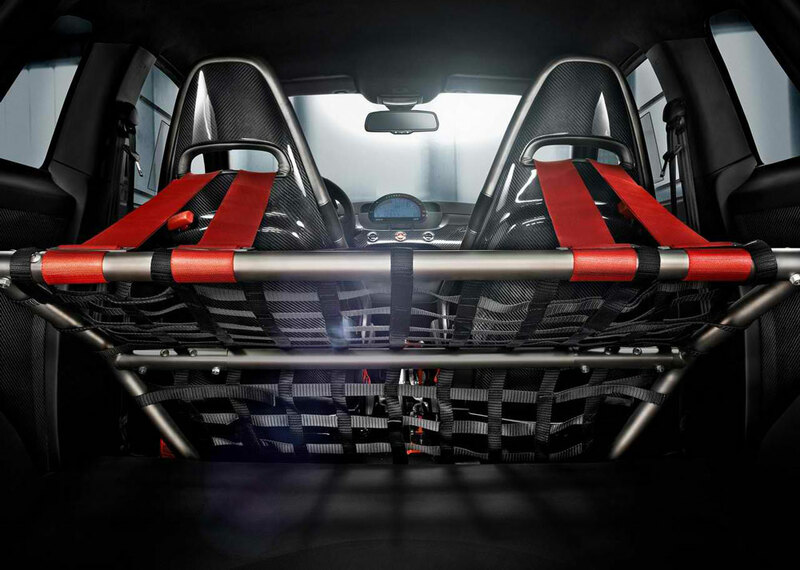 The four-point seat belts created by Sabelt are attached to the titanium roll bar. 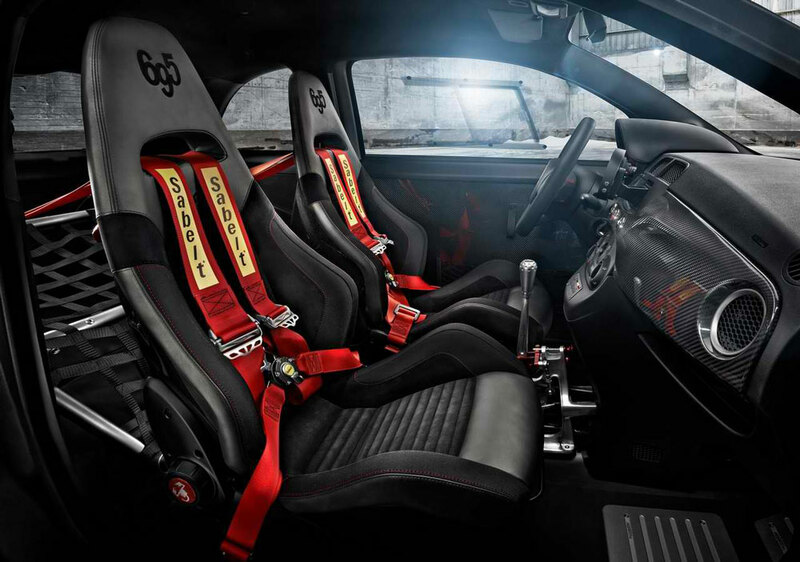 The excellent combination between the high-performance of a racing car and the versatility of a road-going car is reflected in the interior design as well. 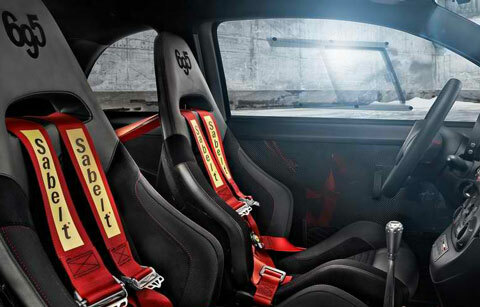 The upholstery on the two seats sporting the mark of Sabelt (there are no seats in the rear compartment) comprises titanium-colored leather that incorporates new finishes for a Fiat Abarth and match the steering wheel, as well as electro-welded Alcantara. It epitomizes the fusion between road and racing cars. This car comes with three customization kits: the 124 Special Kit, Pista Kit and the Carbon Kit.